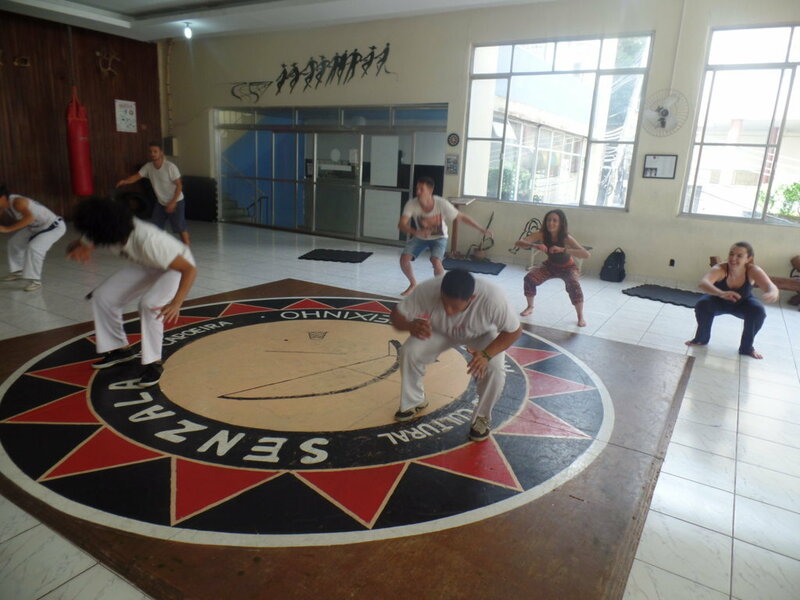 The Magic of Capoeira - Learn Portuguese and discover Rio with RioLIVE! 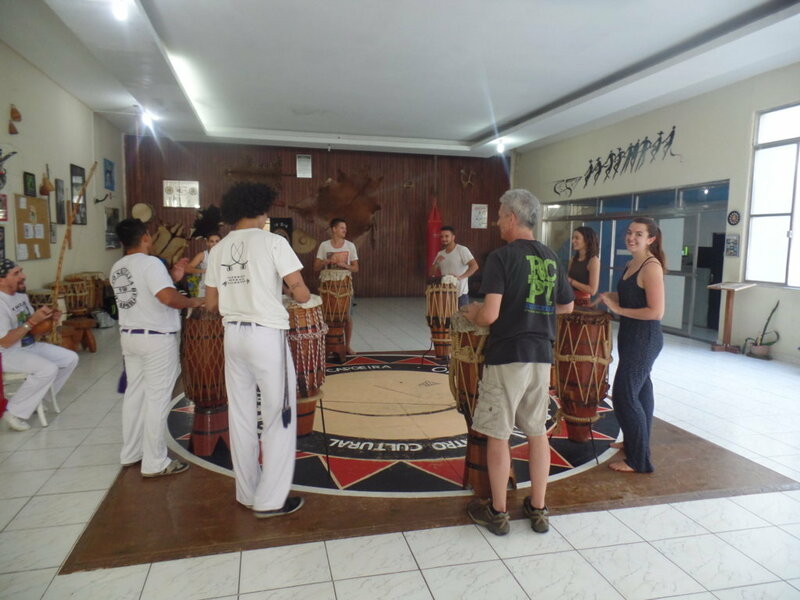 If you want to dive straight into Brazilian culture, you MUST sign up for this RioLIVE! Activity! 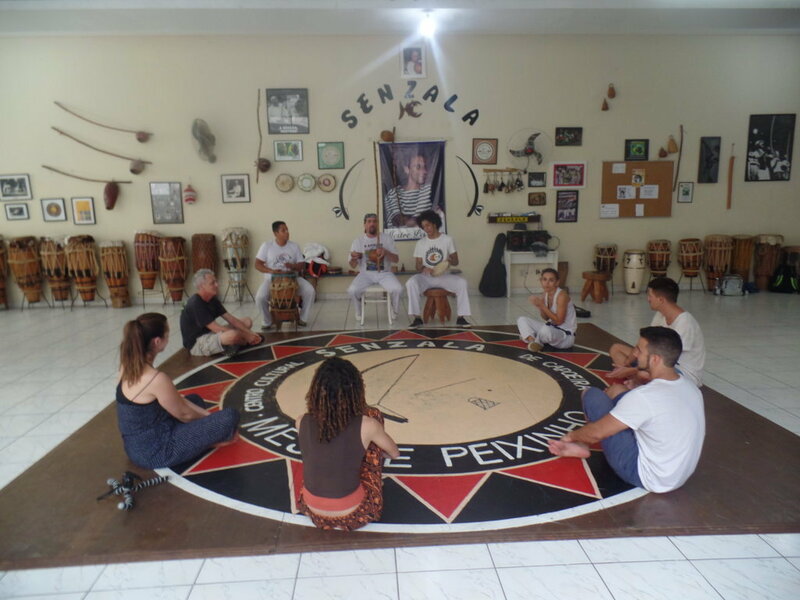 Brazilian Capoeira is unlike anything you have ever seen and this is your chance to experience it first hand. This beautiful mix of Dance and Martial Art will leave you breathless – but just wait until you try it for yourself (they make it look so effortless). 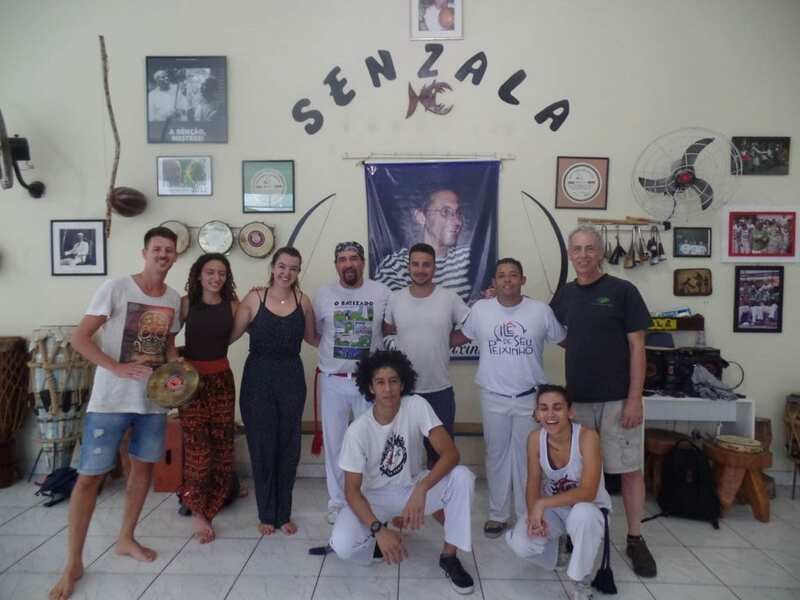 The Capoeira Master will teach you all about the rich history, introduce you to the music and instruments that inspire the martial art and of course, you will leave with some serious moves to practice during your stay in Brazil. 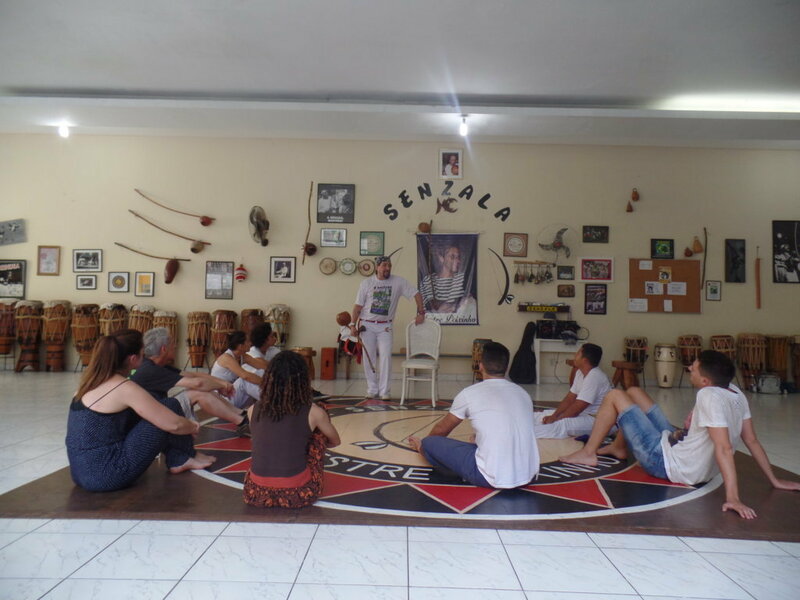 It was one of the most incredible experiences I have had since I arrived in Rio de Janeiro – I am even thinking of signing up for more classes! 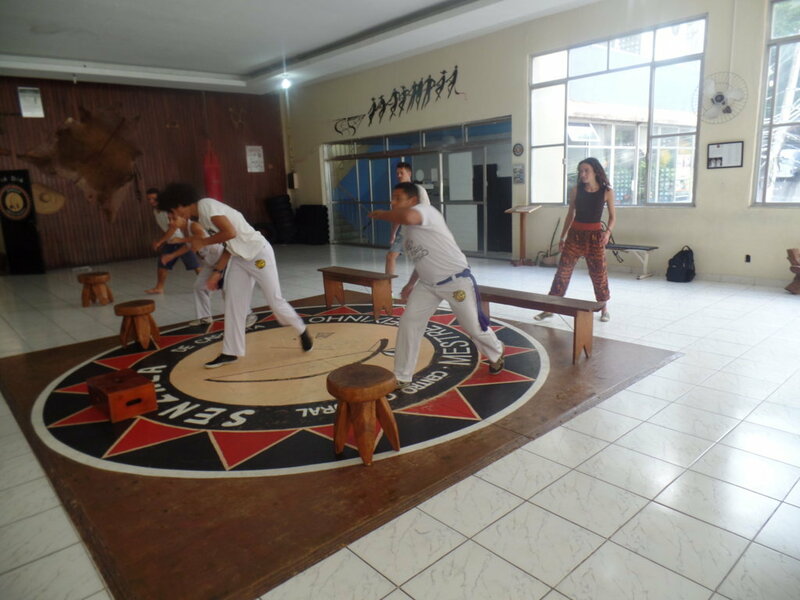 How about trying the magic of capoeira? Our Portuguese students had this amazing experience with RioLIVE! 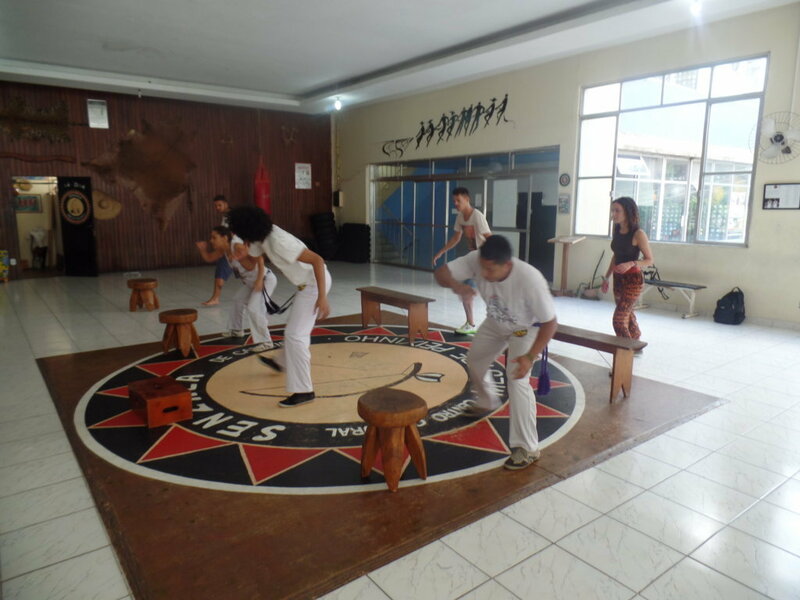 Capoeira is a Brazilian mix of dancing and martial art originally created by the slaves to defend themselves from the white farmers in the past. In this class, they could know little bit about its history, curiosities, moves and techniques. 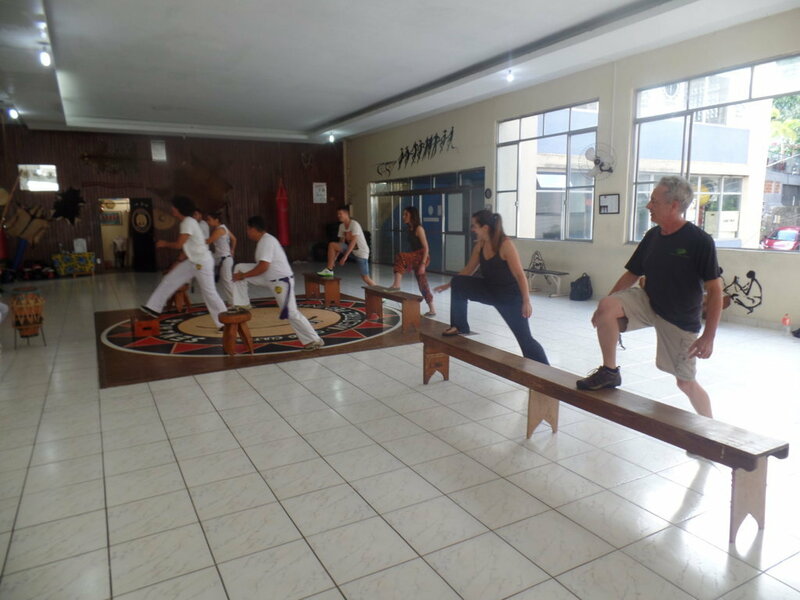 In the beginning some of the students were a bit rusty because they were practicing it for the first time, but after some time, it was possible to coordenate and apply some Capoeira moves. 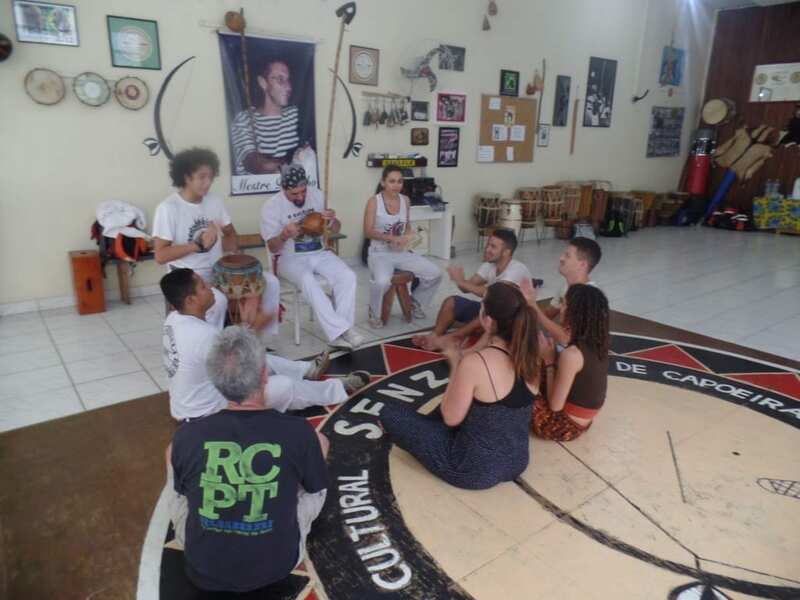 After each new move, new story and getting to know the instruments and songs played, it was time to do a Roda de Capoeira and show their skills with the magic of capoeira. Come and get to know Rio & Learn and join us on our RioLIVE! activities!